A currency option is a contract that grants the buyer the right, but not the obligation, to buy or sell a specified currency at a specified exchange rate (strike price) on or before a specified date. These products are used when cash flows are not certain or when the client is looking for both downside protection and upside potential. Available option products at MFX include plain vanilla call options, which give the right (but not the obligation) to buy currency at a given price in the future, and range forwards (collars), which allow for risk within a band of currency movement but provide protection for loses above a certain threshold. A strategy to hedge against a depreciation of local currency rate, dedicated especially to lenders who make payments in a hard currency (USD, EUR), whose value depends on exchange rate development. 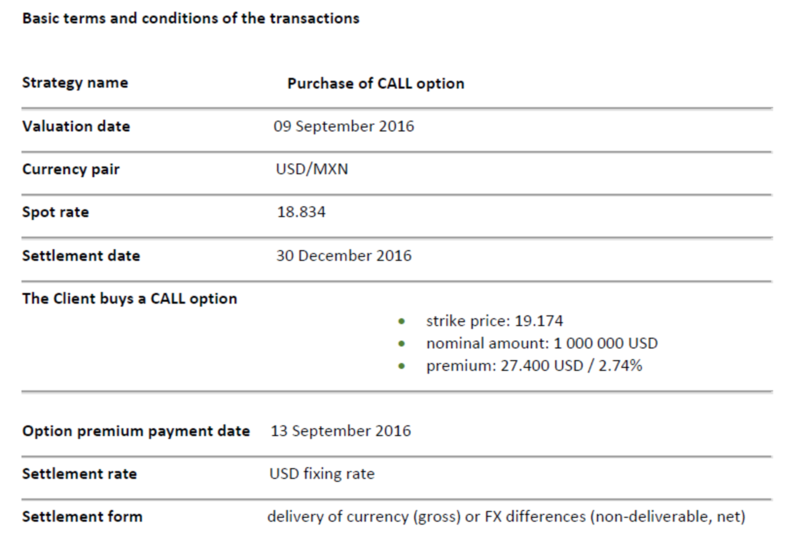 By purchasing a call option, the investor sets the maximum buying price of a hard currency (USD, EUR) and at the same time, still benefits from a potential appreciation in local currency rate. In exchange for a non‐returnable premium paid in advance, the Client is given the right to buy a hard currency (USD, EUR) at a predetermined exchange rate (strike price). 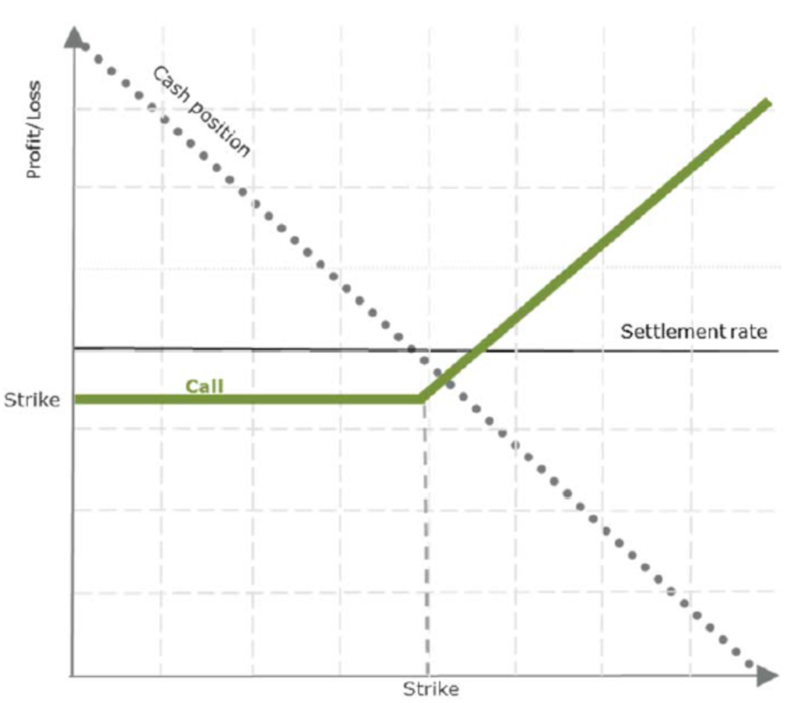 If the settlement rate (USD/LCY) increases above the strike price, the Client generates a profit, as he makes his payments at a price lower than the market price. In the case when the settlement rate falls below the strike price, the client is not obliged to exercise the contract and buys the currency at the market.